Amboseli National Park is a birding heaven given its fair share of swamps, streams and other water bodies. 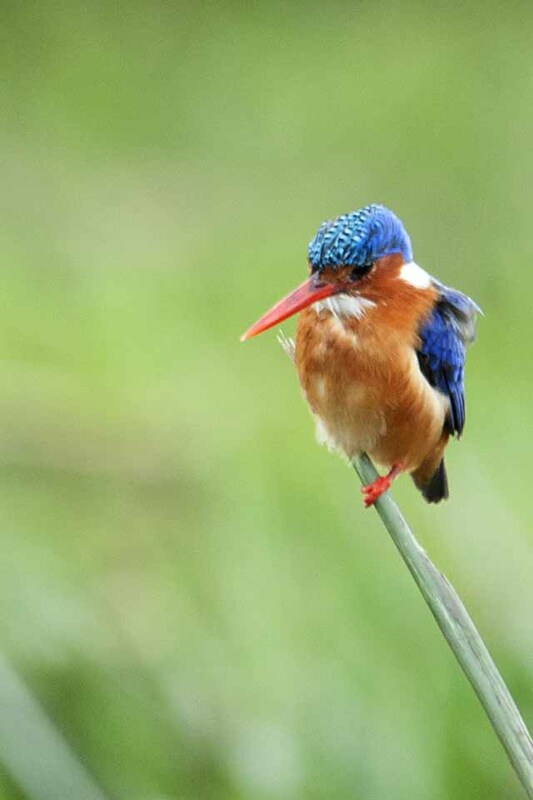 And we also realized that it is one of the best places in Kenya to photograph Kingfishers especially the most beautiful of them all, the Malachite Kingfisher. 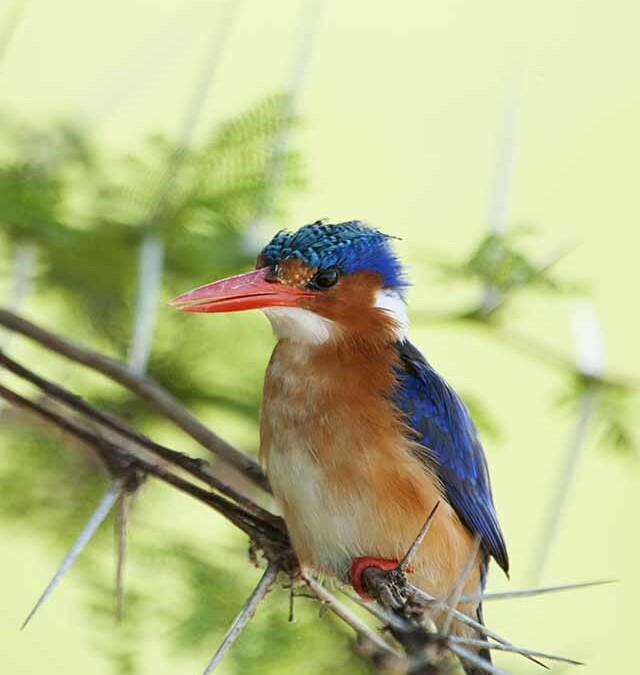 We spotted the Malachite Kingfisher at a couple of locations around the Amboseli National Park. We could not get enough of this tiny wonder. Hence here are a couple of more pictures. 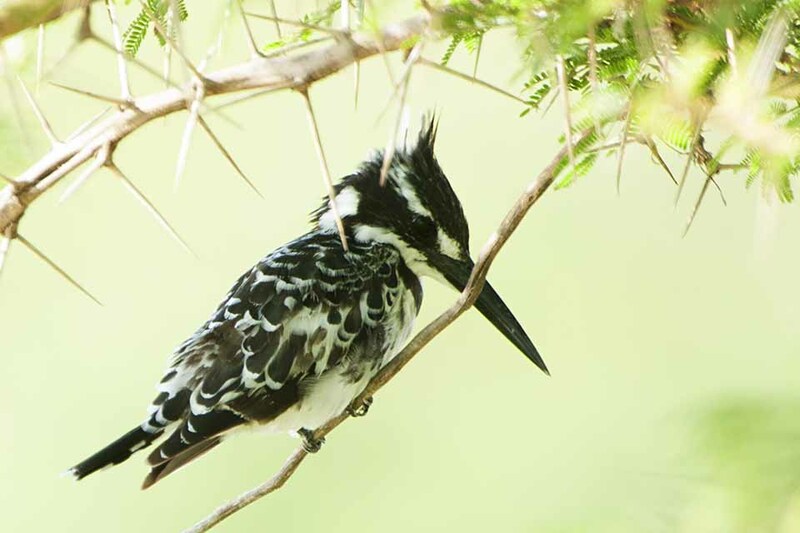 The Pied Kingfisher was a lucky catch. We were really fortunate to get the Malachite Kingfisher and the Pied Kingfisher sitting on opposite sides of the same bush overlooking a water body. 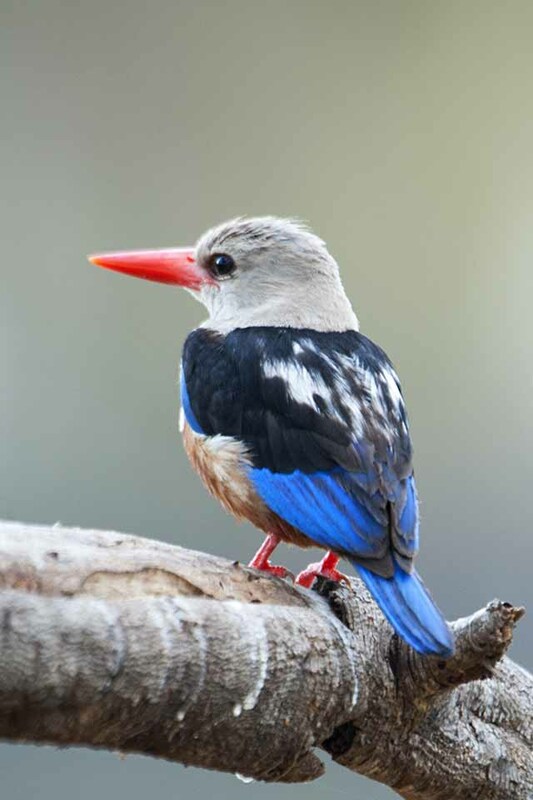 The Grey-headed Kingfisher takes the title of the widespread resident of Amboseli and we saw them in many places around the park. A couple of specimen were also residents at the Serena lodge in Amboseli. Read a whole post on this omnipresent species that we did earlier.